Back in 1998 Sony Records released Panthalassa, a sound collage of music made by Miles Davis between 1969-74, but given a radical reworking by Bill Laswell. 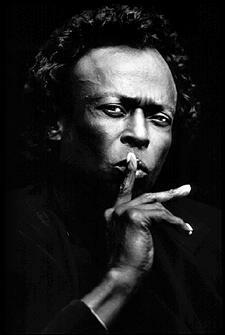 Actually, it wasn’t that radical, he simply updated techniques used by Miles’ original producer, Teo Macero, who was the master of cut and splice and extracting a coherent shape from hours of studio jamming. Regardless of its honourable precedents, there was predictably some outrage from Miles Davis purists, claiming that what Laswell had done was sacrilege. These were the same people who, presumably, were happy to listen to the original In A Silent Way, with its whole section repeated verbatim (or whatever the musical equivalent is) – the last six minutes of the first track “Shhh” are actually the first six minutes of the same track repeated in identical form – the same performance, in fact. (To be fair, only a very few reviewers and listeners noticed this at the time). But there is another reason why the purists are wrong. Laswell did not destroy the originals of In A Silent Way, On The Corner or Get Up With It. Those are still there to enjoy. And in fact, I play the original and Laswell’s versions of In A Silent Way about equally (incidentally, the boxed set of IASW contains two killer unreleased tracks – the blues-soaked Ghetto Walk and Joe Zawinul’s wonderful Early Minor). The reason I mention this is because today (September 3) sees the release of The Case of The Six Watsons where, like Laswell, I have taken something considered as a sacred text and tinkered around with it. I therefore expect similar opprobrium to rain down on me. For I have taken Sir Arthur Conan Doyle’s texts and inserted some of my own words into them, this creating a collage of my own (although the majority of the text remains ACDs). The idea is to create “new” Holmes/Watson stories from the template of his non-Sherlock shorts which, let’s face it, are widely ignored compared to the 56 that make up the Holmes ‘canon’. The Beetle Lover. This immediately struck me as one of Conan Doyle’s short stories that most resembled a Holmes tale. It has a mysterious newspaper advertisement (as in ‘The Red-Headed League’), a job opportunity at a country house with some strange provisos (‘The Copper Beeches’) and the original narrator of ‘The Beetle Hunter’ (1898) was indeed a doctor, albeit somewhat younger than Watson. Until now. 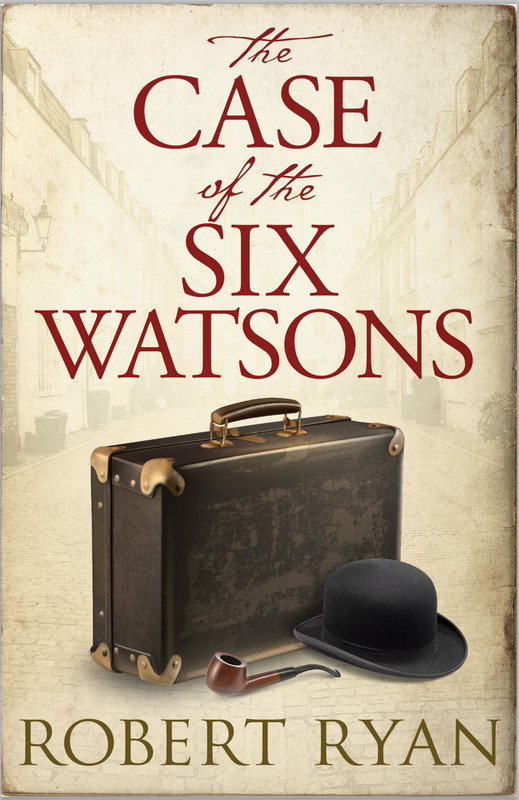 As with all the stories in this collection, I have changed the title slightly (from “Hunter” to “Lover”) so that there is no chance of confusion with the non-Watson original. The Wrong Detective. This is the story that kick-started the whole idea of recasting ACD stories. In my Watson novel A Study in Murder (for which it formed an appendix), this was called ‘The Girl and the Gold Watches’, a slight twist on the original title, ‘The Man with the Gold Watches’. But I wanted to suggest that Holmes appears in this one, hence the new name. Holmes did get a mention in the version published by Conan Doyle in 1898, as an anonymous ‘well-known criminal investigator’ who offers some of the explanations that Holmes uses here. The Brazilian Wife. At its core this is an ACD story called ‘The Brazilian Cat’, originally published in 1908. My retelling is set during the Great Hiatus, when Holmes was assumed to have perished with Professor Moriarty at the Reichenbach Falls. I have inserted various events and references from ‘The Final Problem’ and ‘The Empty House’, the two short stories that bracket the Great Detective’s absence. 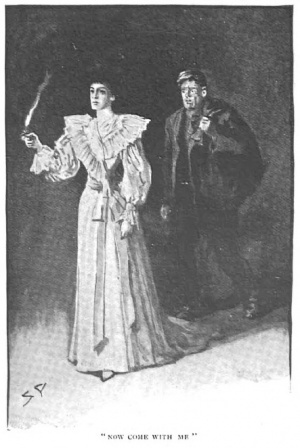 This version sees Watson doubly bereft, with both Holmes and Mary Morstan gone from his life. Is it any wonder he acts irrationally? 4. The Prisoner in B.24. Originally written in 1899 (under the title B.24) in the form of a submission to the court of appeal, with no clear outcome. I have substituted Dr Watson for the court and given it a new ending. 5. The Missing Special. 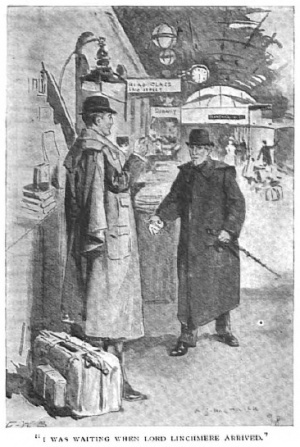 There are some anthologies of the Holmes stories, especially in translation,that include ‘The Lost Special’ (as it was originally called) in the ‘canon’ (or as apocrypha), becasue the celebrated detective who writes to The Times is clearly Sherlock. His identity is betrayed by he opening sentence of his letter – it is a classic Holmes maxim. So I have re-jigged this story to give the Great Detective and Dr Watson a more central role. Plus in the original (published in1898) there is a reference to a villainous Englishman at work, so I have taken the liberty of identifying him. 6. The Broken Crocodile. Having played fast and loose with some of Conan Doyle’s work, I thought it about time I gave myself a taste of my own medicine. This ‘samples’ a section of a novel I wrote about TE Lawrence (of Arabia) called Empire of Sand. The setting is from that book, but the mystery of the broken bowl is entirely new, although those who have read Dead Man’s Land – the first in the Dr Watson at War series – will recognise a character in the opening scene. It is set in the spring of 1915. For a limited period these six stories are available to download for free as an e-book from the Amazon Kindle store. And if you don’t approve, then I shall invoke the Laswell Defence, in that the original ACD stories are readily available, unsullied by me or anybody else, in the collections Tales of Unease and Round The Fire Stories. This entry was posted in Books and tagged Arthur Conan Doyle, Sherlock, Watson on September 3, 2015 by Robert Ryan. So I have to go back on my principles and use Amazon. Thats friendship for you.